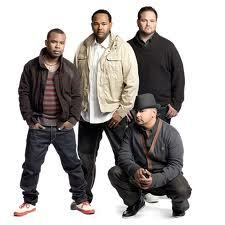 In 2009 All-4-One released "No Regrets" on the Peak Records/Concord Music Group label. Reviews on the record have garnered an overwhelming response with some reviewers claiming No Regrets is a "career album for All-4-One". The album was largely created in-house, with the group doing the writing for the album, and Jamie Jones production company, The Heavyweights, doing a lot of the production work. The CD produced an Urban Adult Contemporary hit entitled "My Child".